When you’re building and executing a content marketing plan, a content calendar (also known as an editorial calendar) is a cornerstone to success, ensuring that your roadmap is aligned to your business goals. 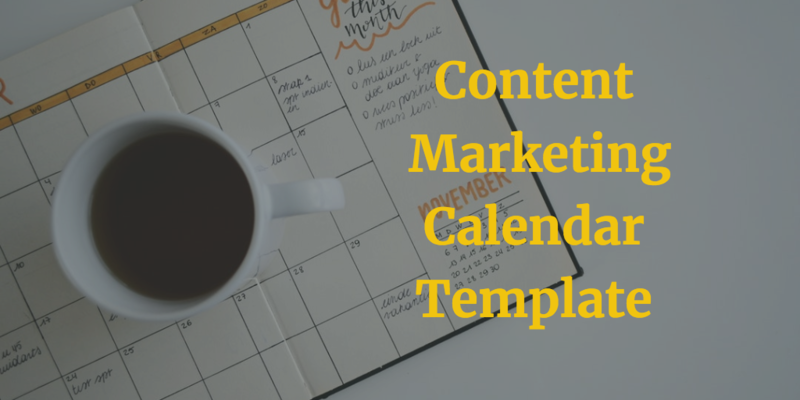 A well-planned content calendar allows you to plan out content for the upcoming weeks, months, and even year in order to execute against your content strategy. According to Curata research, 90 percent of marketers now use a content calendar which is a lot! Depending on the size of your team and complexity of content schedule, these content calendars can take on many forms - from a simple spreadsheet to a complex app with multiple pieces. What is important regardless of what structure you choose is that it’s maintainable and accurate to give you a picture of how your editorial activities are progressing. We’ve built an example of a content calendar here that you can access. To make a copy of this, simply click in to the spreadsheet and then select File -> Make a copy. While managing your content calendar is important, there’s more to producing great content than dates and deadlines. It’s also about review and editorial to ensure that feedback is getting incorporated and content is high-quality. 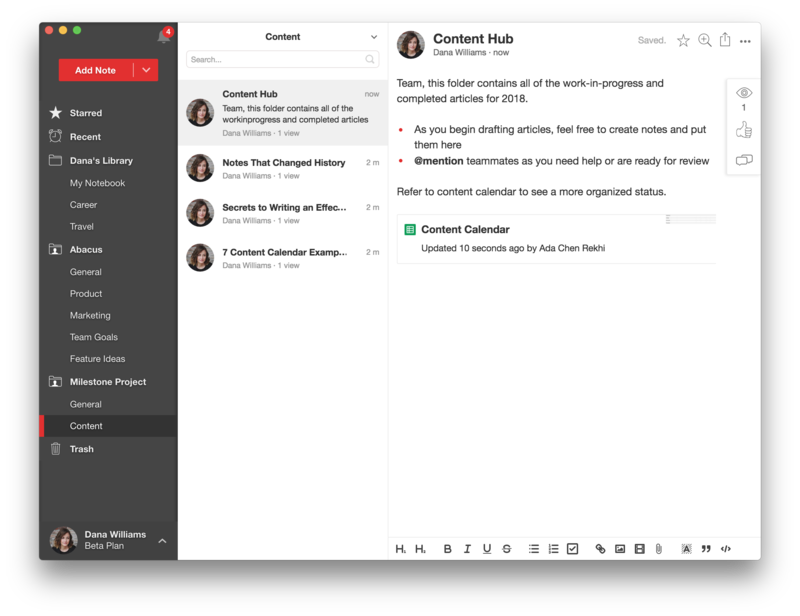 Notejoy is an effective solution for teams that want to manage their content together and in particular content teams where all writers aren't necessarily in the same organization. It fundamentally changes the way that work is done by bringing all collaborators, inside and outside of the organization, into one shared space. Integrates with Google Sheets - While content calendars often live in tools like Google Sheets, content itself needs to be to be in a written document format. By leveraging Notejoy, teams can pull all of their content into a clean and organized place. Not only are notes linkable from your spreadsheet, but teams can view them all in one place in a folder in Notejoy. Spreadsheets can also be embedded directly into notes making it easy for people to find. Clean, Beautiful Editor - For content authors, Notejoy is a beautiful and fast experience to draft and discuss content. Authors can draft content in their personal space, and then sharing is as simple as dragging it into a shared folder that others can view. Keep the conversations in context by discussing directly in the note itself, and maintain a single system of record for everything. Real-Time Collaboration - As a cloud-based solution, Notejoy allows you to share your content drafts with internal and external collaborators. These collaborators can view, discuss, and comment on content pieces as well as feel secure that they are viewing the latest version.